The red 1957 Chevy Key Rack by Sunbelt Marketing is the perfect item for your classic Chevrolet lover's wall and to keep track of your Bel Air keys. 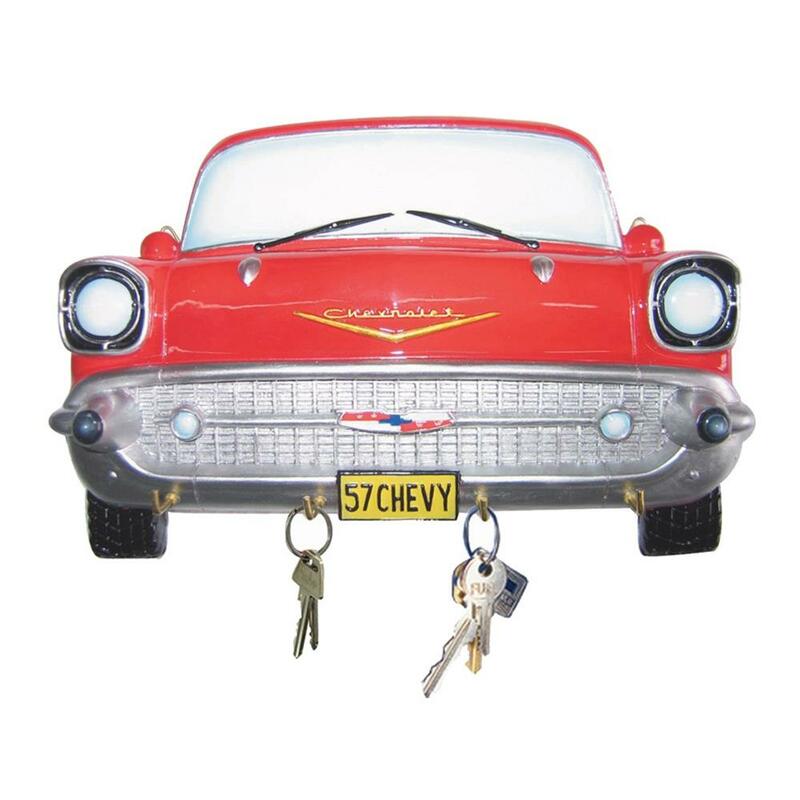 The Chevy Bel Air painted resin key rack can hold up to 4 sets of keys. Measures 7.56" wide X 1.5" deep X 5.12" tall.